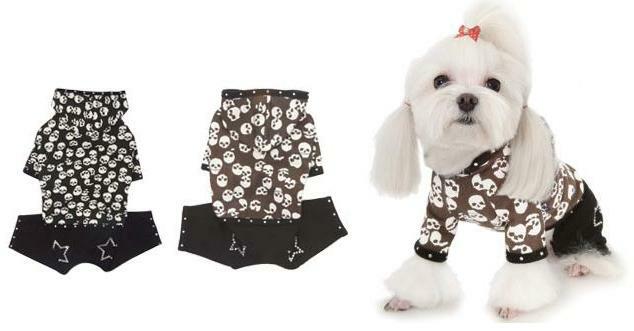 The Puppy Angel Misfits Romper Suit is just the right mix of mischief and magic! Made to look like a jeans and sweatshirt combo, the hooded top is made from thick cotton adorned with cheeky skulls while the jeans have two rhinestone stars on the back. The hood trim, waist and trouser legs are decorated with intermittent rhinestones giving this outfit a little something extra!